Home Hinsdale IL It’s Time for Community Involvement in the Village of Hinsdale! If you’ve thought about getting involved in your community, the Village of Hinsdale makes it easy to stay informed. Taking steps to get involved in your community is one of the best things we can do to ensure our towns stay prosperous and healthy. The Village of Hinsdale makes sure that anyone who might be interested in making Hinsdale all-the-better, has access to board meeting notes and videos of their sessions too! Getting Involved in the Village of Hinsdale is a cinch! Just choose a Commission, Committee, or Board, and start learning more about your town. 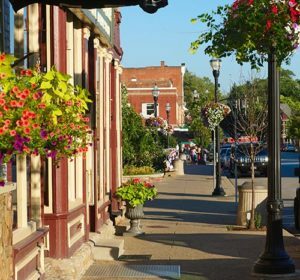 The Village of Hinsdale is a town known for its history and charming downtown area. Dig into the Hinsdale Historical Society to learn more about your home town. You might be surprised to learn about the collection of historical significance just around the corner from you. Like what you learn, want to contribute? It’s easy to become a volunteer with the Hinsdale Historical Society, and put your stamp on history. A stop along the Metra railway, commuters and weekend city-goers have no doubt appreciated the easy access they have to the City of Chicago where museums, ball parks, and just about any type of cuisine you could hope for await. Downtown Hinsdale has its own collection of notable restaurants and shops littered within sections of downtown listed on the National Register of Historic Places. Learn about the architects and places that bring this rich history. Hinsdale Central and South High Schools both tout admirable rankings amongst some of the best schools in the State of Illinois. As an area real estate professional, Nancy Miller of Coldwell Banker Residential Brokerage can tell you that these schools are highly sought after. Knowing that when it comes time to sell your home, your buyers will be able to check off that desirable item, is a comfort to most homeowners — even if it’s not on your personal radar at this time. Park Districts and Modern Library revisions sound more like the kind of community involvement you have in mind? If Village history or boards is not where you see yourself getting involved in the community, perhaps the plethora of Park District events, classes and leagues are more your style. All ages stand to benefit from getting involved – whether participating or guiding the next generation, rewarding is a common word used to describe Hinsdale Park District. Including youth sports, Pickleball classes, and seasonal fests! Do you love technology, education and literature? The Hinsdale Library is brewing the newest wave of learning and research techniques and tools. No matter your age range or interests, taking a few minutes to read up on the Library will have you hooked. Whether it’s Homework Help, book clubs, or even just borrowing music or a movie, the Library has a place for everyone. When it comes to the Village of Hinsdale, there are more than enough options for nearly everyone to plug-in. The key to finding your place is to dive in, find something that drives you, and give of your time and effort.